The Catholic Diocese of Dallas released a list on Thursday of priests who have been credibly accused of sexually assaulting children as far back as 1950. 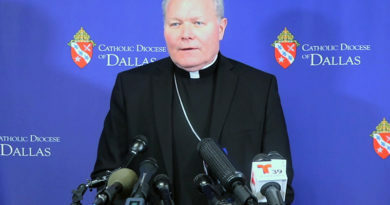 Through an in-depth media advisory and a press conference held at the Catholic offices downtown, Bishop Edward Burns of Dallas addressed the list of accused priests that he said followed through on a “commitment made in October to provide…those priests who have been the subject of a credible allegation of sexual abuse of a minor” within the church dating back to 1950. The names of twenty-four priests with direct ties to the Dallas Diocese were released, as well as another seven who were incardinated in a different diocese or religious order. Of the 31 total priests, 17 are dead, five have been suspended from practicing, and five are laicized. The accused with direct Dallas ties are: Matthew Bagert, Richard Brown, Alejandro Bultrago, Robert Crisp, Paul Detzel, John Duesman, James Fitzpatrick, Michael Flanaga, Timothy Heines, William Hoover, William Hughes, Richard Johnson, Rudy Kos, William Lane, Justin Lucio, Patrick Lynch, Henry McGill, Jeremy Myers, Edmundo Paredes, Robert Peebles, James Reilly, Kenneth Roberts, Jose Saldana, and Raymond Scott. Kos has been in jail since 1998. The accused incardinated in a different diocese or religious order are: Michael Barone, Thomas Behnke, Gabriel Hentrich, Patrick Koch, Vincent Malatesta, Anthony Nwaogu, and Benjamin Smylie. Burns wrote that an outside group of former state and federal law enforcement officials reviewed the files of some 2,400 priests, while identifying files that contained allegations. 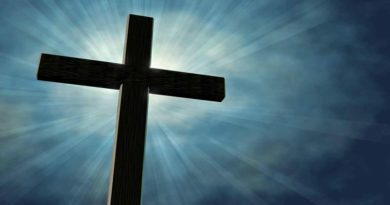 In Texas, approximately 8.5 million people are practicing Catholics. There are 1,320 parishes, and 4,000 members of the clergy. 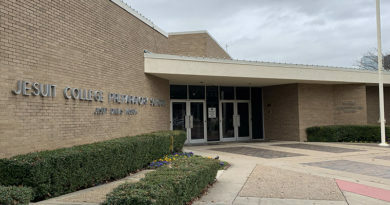 In December, officials from Jesuit College Preparatory School of Dallas released the names of priests involved in sexual assault at the campus dating back to 1966. Abuse at the Dallas campus occurred beginning then and lasted through at least 1994. The Jesuits’ Central and Southern Province alerted Michael A. Earsing, president of Jesuit College Preparatory School, to the list in December. The findings name 11 past members with ties to the school who were the subject of allegations of abuse of a minor. Four were accused of abuse while at the school, while seven others who served at the Dallas campus were accused of misconduct elsewhere. Of the four accused of abuse at the Dallas campus, two – Don Dickerson and Thomas Naughton – are dead. Vincent Malatesta and Claude Ory, the other two with direct ties to abuse at the Dallas campus, were removed from the ministry in 2002 and 2007, respectively. Ory lives under supervision, according to officials. 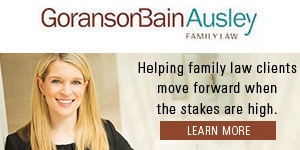 Six of the seven remaining accused who had ties to the Dallas campus but were accused of abuse in other states have died as well, according to officials. The remaining accused that is still alive, Vincent Orlando, was removed from the ministry in 2002 and lives under supervision. Burns said it was important to not “remain lukewarm,” and to continue looking for those who may have gotten away with abuse. Burns added that, since the Diocese encompasses nine counties, the Catholic offices have engaged with “many” law enforcement agencies.